Last weekend, we ventured back into Tokyo for a day in Shibuya. Shibuya is the Tokyo you see on television. Towering buildings feature video screens instead of windows. Shopping centers feature all the latest trends, including malls with dozens of stores focused exclusively on clothing for teen and 20-something women. Shibuya Crossing is one of the most famous “scramble” crosswalks in the world. When the walk signal flashes, people cross the road at every axis. You really get a flavor of Tokyo as an international tourist destination in Shibuya, with a variety of faces and languages exploring the streets. According to Time Out Tokyo magazine, it’s the number 1 visited location in Tokyo among tourists. For me, the most charming part of Shibuya comes from its history. 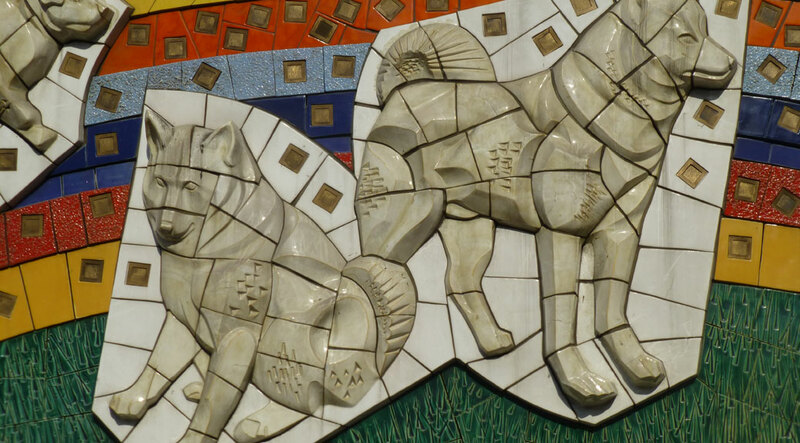 There are multiple references and memorials to Hachiko, the loyal dog. Everyday, Hachiko would make the walk from his home to meet his owner at Shibuya Station. Even after his master passed away, Hachiko would continue to travel to the station each afternoon in search of him. He became a celebrity among those traveling through Shibuya Station and is now immortalized in statue and mural form at the station as well as on t-shirts, pens and postcards. Originally, Shibuya was the gateway to Tokyo for those traveling east from Osaka and Kyoto. As Tokyo grew, Shibuya transformed to support the economic needs of the capitol. After World War II ended, the modern commercial transformation of Shibuya began. The district is continuing its transformation with a detailed urban development plan, scheduled to be complete in 2027, featuring a combination of office and retail complexes with significant, pedestrian-friendly green spaces.